Cmeets is a full automatic and easy-to-use advanced digital all-in-one conference solution. Cmeets allows you to prepare, manage and record your meetings. No cables, no different systems, just software! Do you have a complete rack or even room filled with different systems, cables and more? Do you have all different kinds of software which can’t work together? Cmeets is the out-of-the-box solution for your organization! How easy and efficient would it be if you could prepare your meeting in a simple Excel file? Or if you could interface with your meeting preparation system? 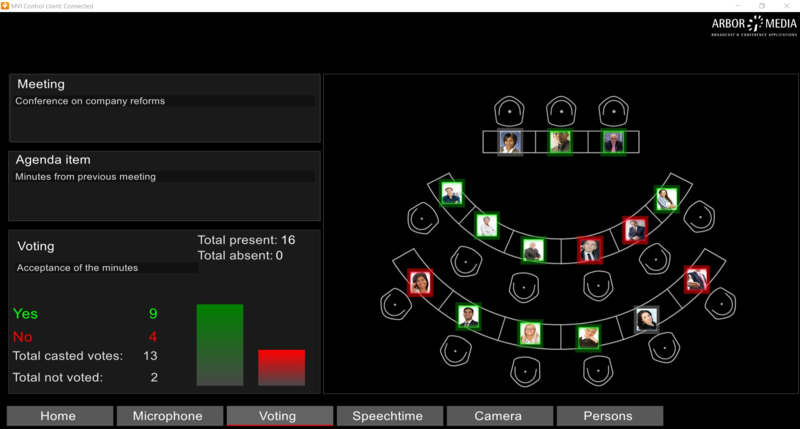 No more hassle when a delegate changes seats thanks to the drag and drop feature. Perhaps you now have multiple screens to track speech time, start and mange polls or voting? With Cmeets, no more! One user-friendly interface from which allows you to manage your meeting on a pc, laptop or even tablet. How nice would it be if you can show the presenter and the presentation at the same time? Or would you like to show the person speaking and the one who is in the queue? Cmeets lets you show picture in picture with metadata like name and time. This software solution is suitable for multi-lingual operation and can be useful for e.g. City Councils, Court Rooms, Parliaments, Enterprises/Board Rooms and Houses of Worship. It can control the camera(s), microphones, create and keep track of synoptic voting, automatic name display, create a list of speakers and queues. It will record and stream your meeting. Please visit our supported devices page to learn what third party systems are supported by Arbor Media. The tagging/timestamping of agenda items, speakers and other markers. Live publication and export of timestamped metadata. Speech time management (per group and/or per speaker). Manage delegate information, prepare meetings, meeting control: start, stop, pause, open/closed mode. Register delegate attendance, including delegates leaving or entering the room. Control of- and interface with the digital Conference system. Microphone control, handle request list and activate mics. The execution, processing and reporting of voting sessions. ID Cards, FP scanners, Log-in using Pincodes etc..
Meeting information and control on participant devices. Remote control of motorized camera's. Position camera per delegate position, including manual override possibility. Overlaying of name display, voting results, dual speaker display, PIP, input signal switching. 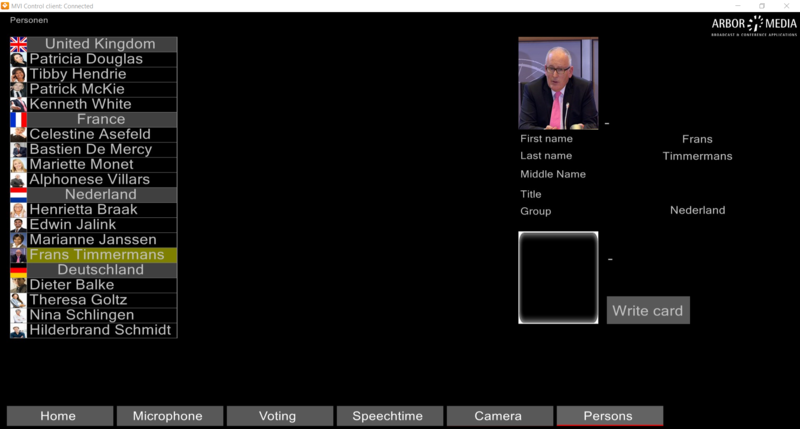 The Click & Share option allows the display of participant’s notebook in the video stream. Cmeets supports the display of conference information and metadata on hall displays. Live webstreaming of audio, video and metadata & VOD production.